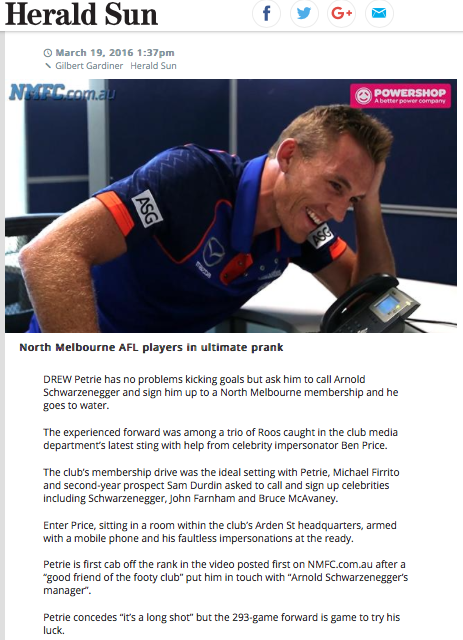 Ben had a great time with AFL team North Melbourne pranking a few of their players who were in the phone room as part of their membership drive. The prank was so effective it made the daily newspapers! View the prank at the link below.